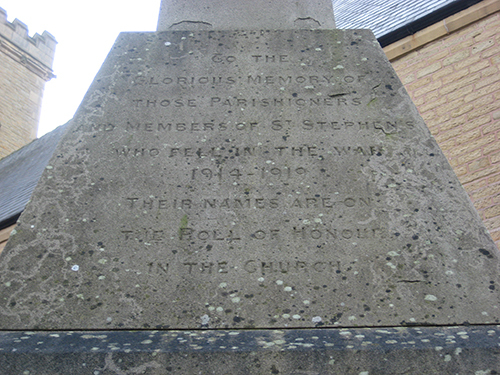 The Church has three War Memorials. 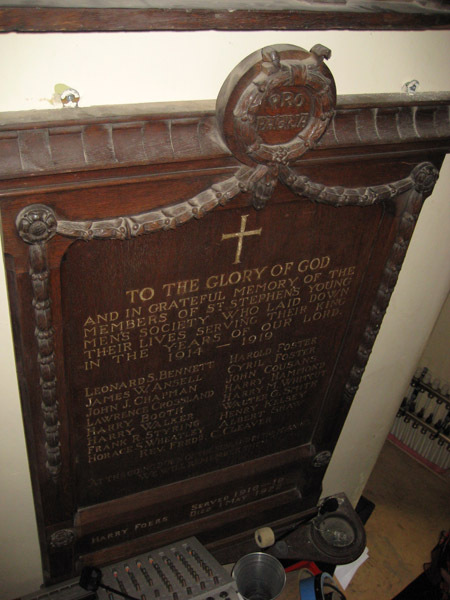 In the Church porch is a large oak memorial on the panels of which are inscribed the names of 240 men who fell. 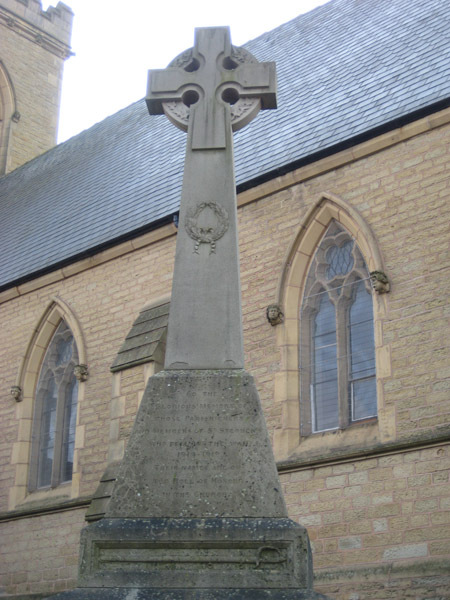 The two last-named cost £222. 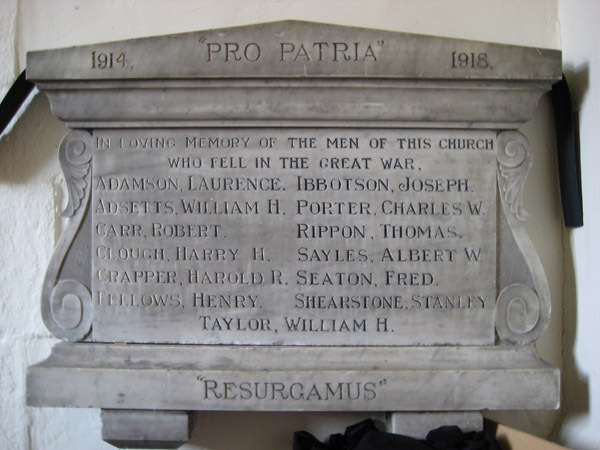 The cleaning and repair of the memorials are secured by a small endowment. 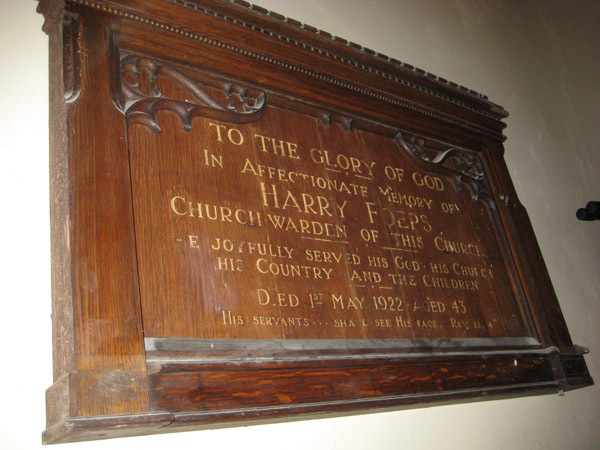 We are not 100% certain that this plaque belongs at St Stephens, it may be St Annes Hoyle Street, but Odom alludes to 'A White Marble Plaque' at St Stephens but the numbers dont add up. 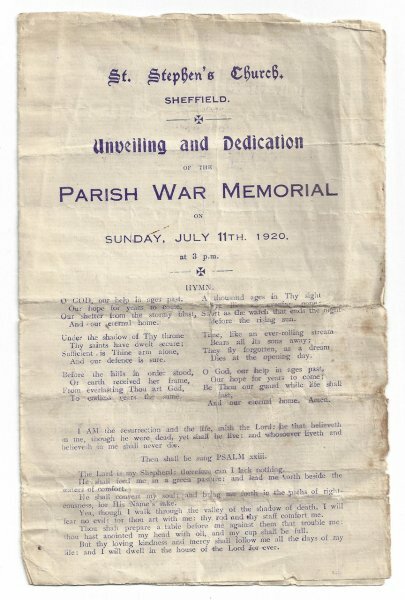 The images below are of a four page programme which was issued to attendees at the unveiling and dedication of the parish war memorial at St Stephen’s Church in Sheffield. 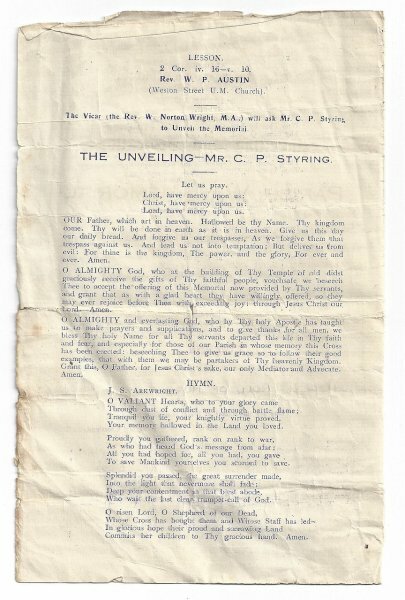 The dedication was held on Sunday July 11th 1920 at 3.00pm, with the unveiling being done by Mr C.P Styring, President of the Sheffield branch of the British War Graves association. 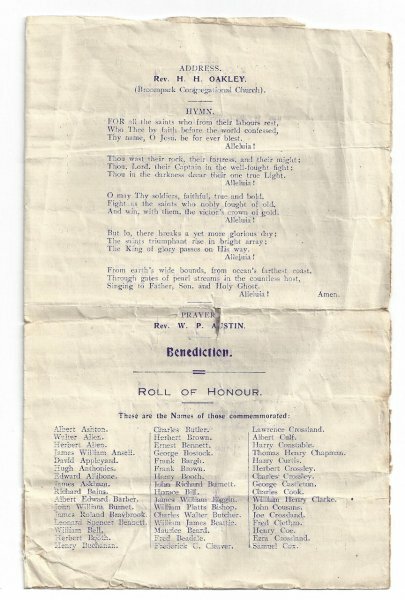 As well as listing the names of more than 200 young men from the parish who were killed during the first world war, the programme, the programme documents the running order of the day and which readings and hymns occurred. 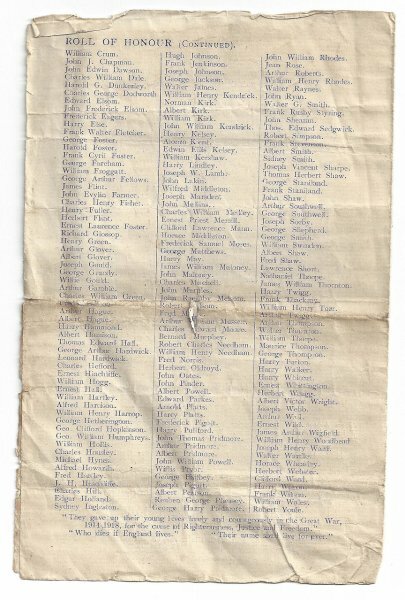 The programme also documents who made each reading, making it possible to say who was involved in the day.